Amy Gallagher is the Corporate Broker of Record for all 11 Century 21 Hometown Realty offices since 2005. 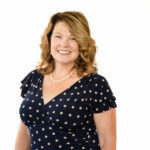 She has been in the real estate industry since 1987, and has a passion for the industry. Amy has trained agents at C21 for over 15 years and enjoys helping her agents to be able to serve their clients better through a thorough understanding of the contract and the related documents on any given transaction.